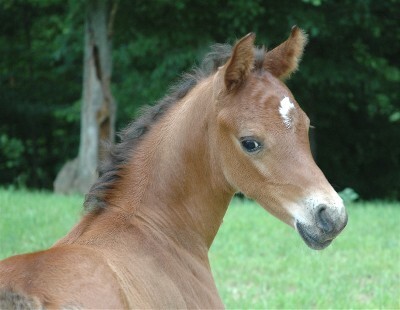 WB Sirprana (TF Sir Prize x DT Arielle) 2010 large showy chestnut fully. This fiery redhead is all show. With her attitude hooky neck, and large stride, she is sure to be a standout as a Hunter. 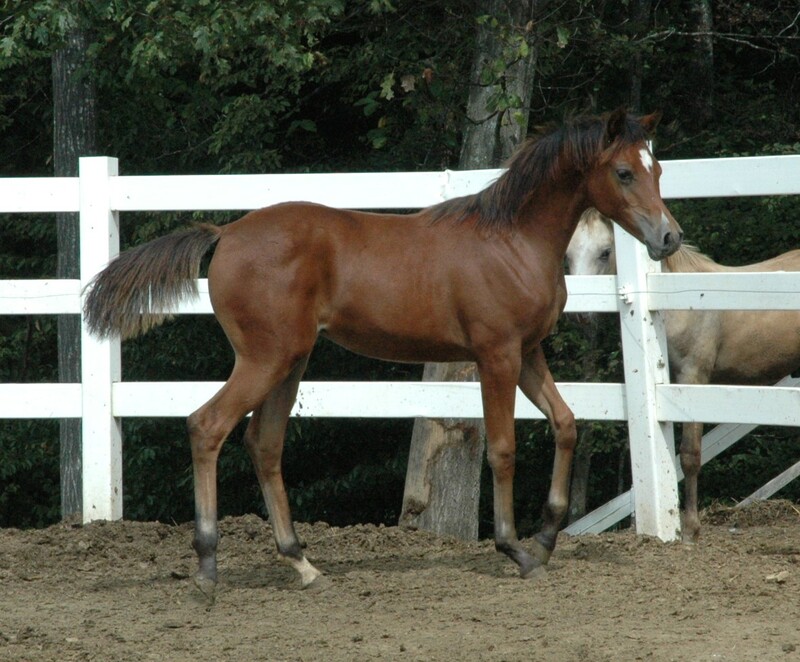 WB McKinley (Denali BHF x WB Libertarian) This beautiful filly has a great hip, wonderful legs, and a gorgeous face. She has a great show attitude. 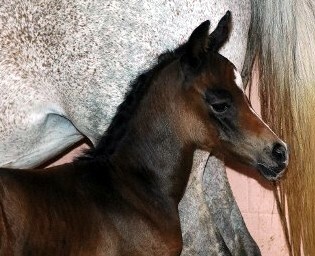 WB Puffa Smoke (Rosmel's Golden Wonder x LS Elegance) Arabian/Welsh cross. Full of himself, but very gentle, this grey colt, with wicked little ears, has outstanding movement. From two athletic parents, this little man should be able to jump the moon. He will mature a medium pony. $10,000 Firm More Pictures. August 2008 - Nightcap has started to show the grey hairs I knew she would have! She will turn grey, but very slowly - and will be a very dark grey for awhile. 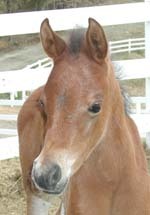 September 2008: A hair sample sent to UC Davis shows that Fizz is genetically BLACK, with a silver dilution gene that dilutes her black color to a flaxen liver chestnut appearance. 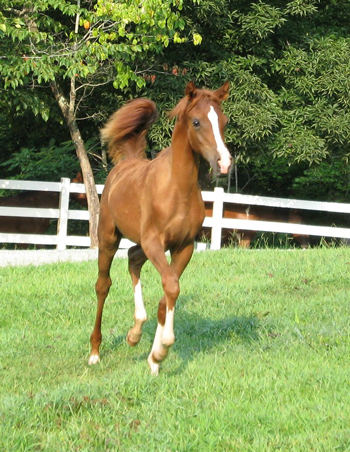 Although chestnut in appearance, she cannot produce a chestnut, and is homozygous for black. WB Bells An Whistles (Pomp An Circumstance x THA Sonseress) 3-23-16 Outstanding flaxen chestnut filly with lovely movement. This is Pomp's first baby, and we couldn't be happier with the results. 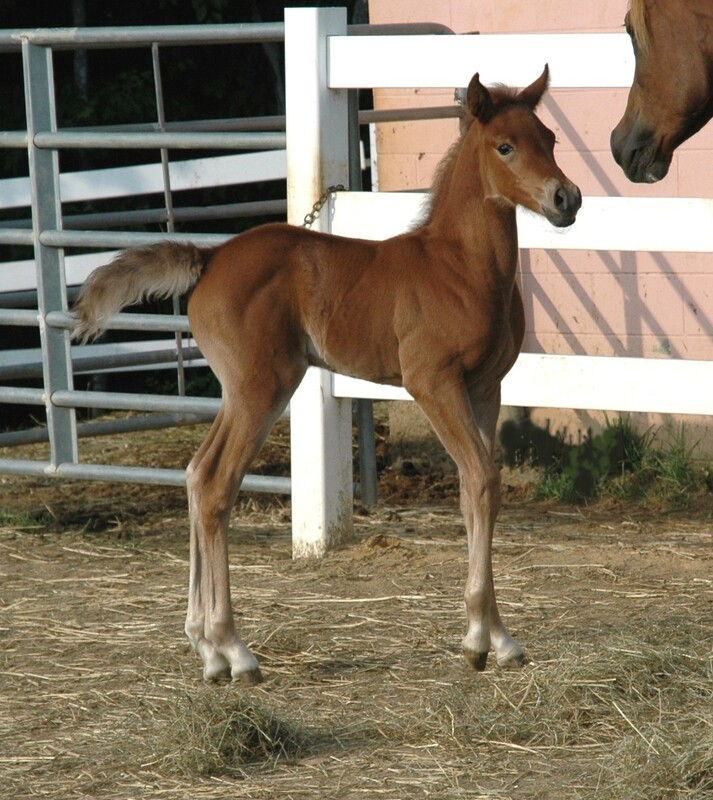 WB Definitive (Infinety x WB Willow Bay) Tall and elegant, this colt has presence. 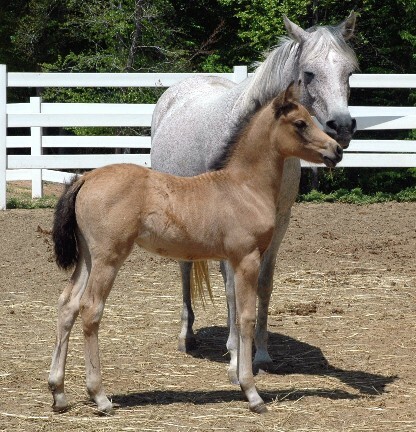 WB Ramalama Bang Bang (Rosmel's Golden Wonder x Rosmel's Dreamcicle) Born late in the season (October), Bang Bang was born buckskin, and immediately greyed out. 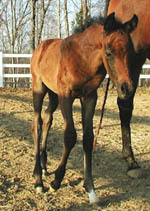 Shown at left at 6 months old, he is already taller than his 12.2 hh dam. He is very athletic and extremely friendly gelding. He should make an excellent child's pony. 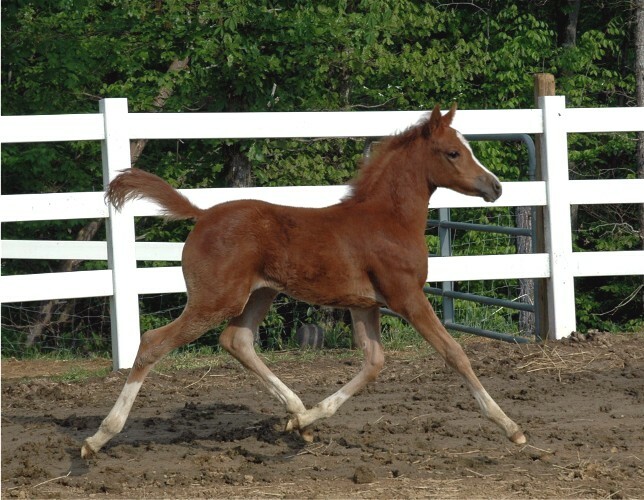 WB Alyson Wonderland (Rosmel's Golden Wonder x SB Josie) Super cute and fast on her feet. 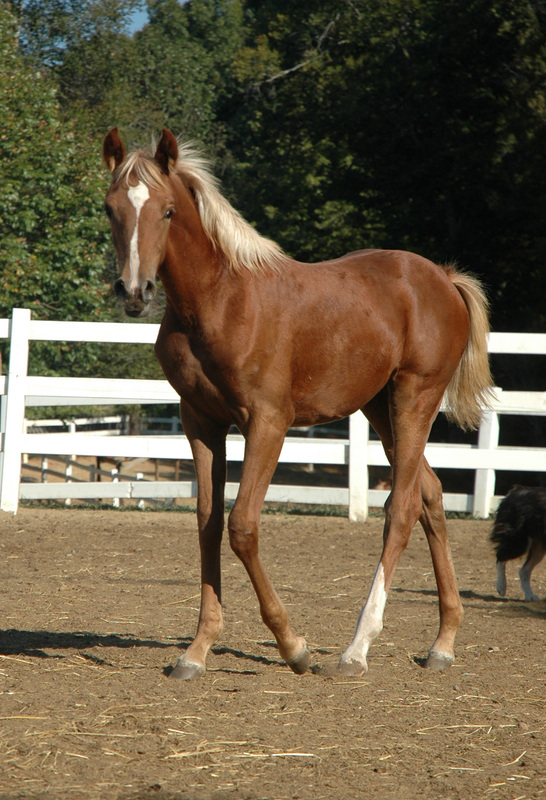 This flaxen chestnut filly is our first Half-Arabian Half-Welsh foal by our Section B Welsh stallion. 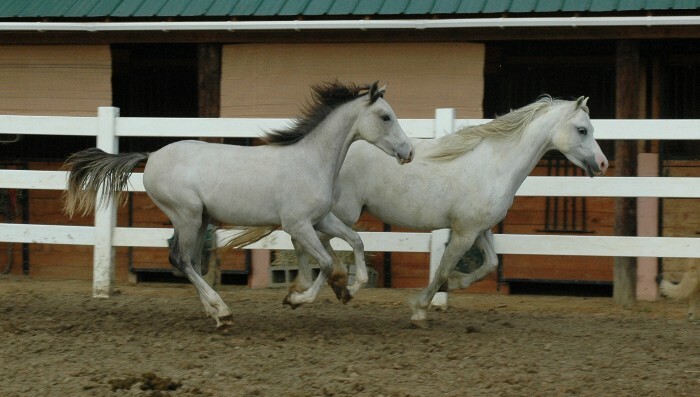 September 2008: A hair sample sent to UC Davis shows that Alyson is genetically a BAY with a silver dilution gene that dilutes her black mane, tail and legs to flaxen and silver. 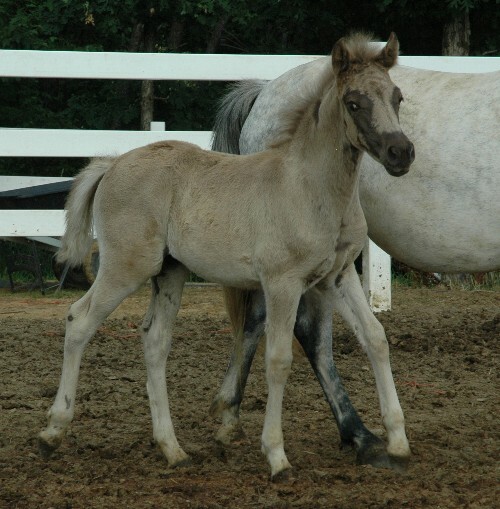 WB Munchakin (Rosmel's Golden Wonder x WB Champagne Split) Buckskin going grey, this little half-Welsh, quarter Arabian and quarter miniature colt seems to be practicing his reining moves. Munchy is a pocket pony, preferring to spend time with humans than other horses. 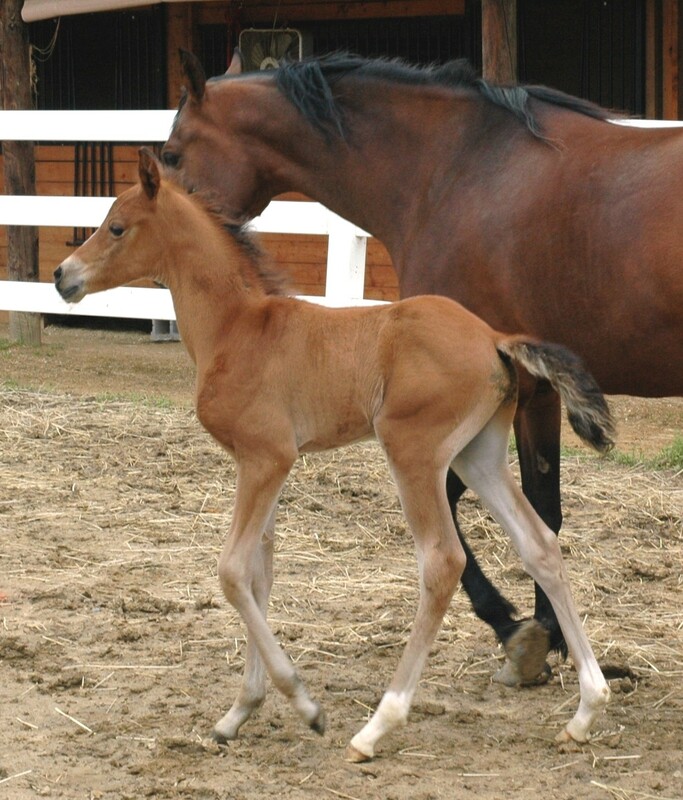 WB Peace Prize (Noble Prize x SB Josie) Born to be a western horse, this filly is beautiful enough for halter. She is a Scottsdale Signature Stallion baby and is a real delight. We have been waiting for this grey beauty for years. After unsuccessfully trying to get an older mare in foal to Remington Steele by artificial insemination long distance from California, we were thrilled to learn that this Living Legend was moving to the East coast. 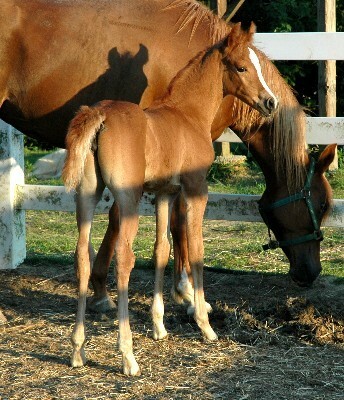 We immediately sent a younger mare to be bred. All the waiting was worth it. 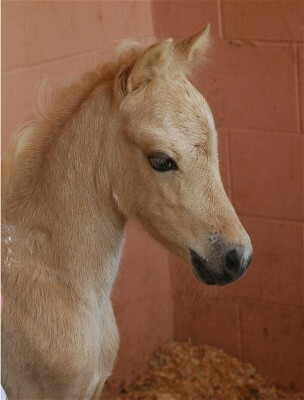 This fabulous filly has the most exotic head that my daughter describes as "wicked". 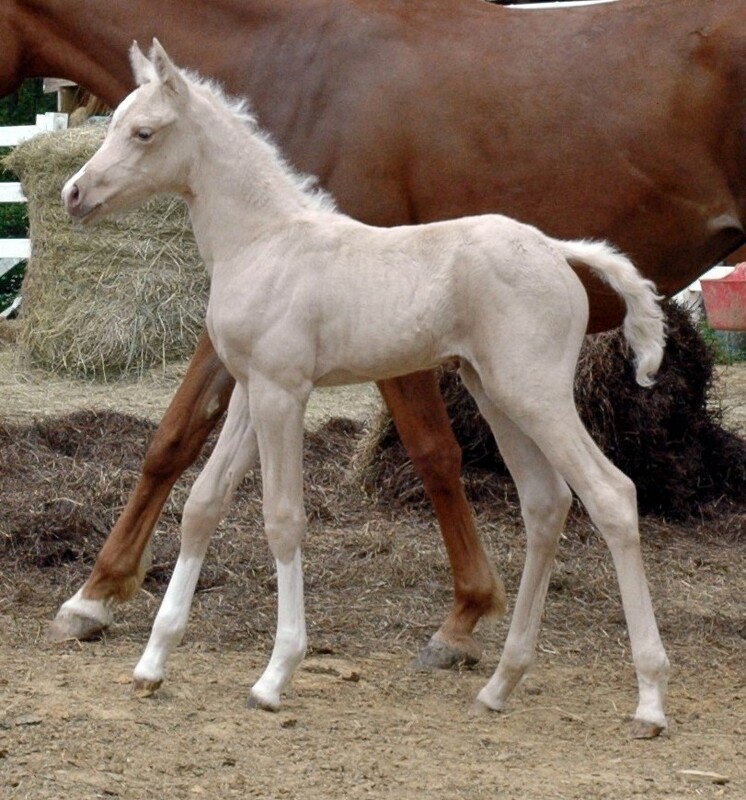 She also displays, at 3 days old, the flowing gaits that Remington Steele is famous for. This one is not for sale. 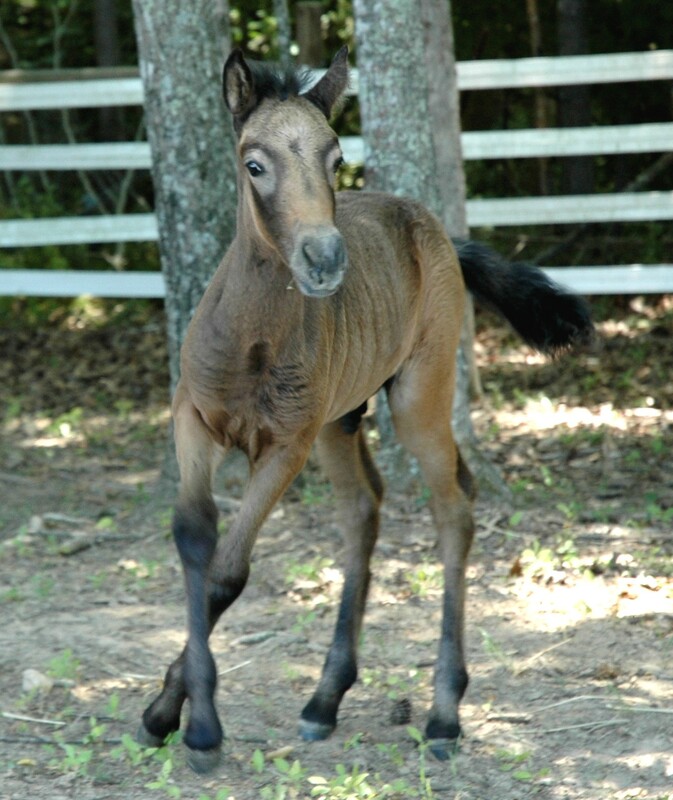 Tall, leggy, upright colt by the Monogramm son, Just II Cool. This bright bay should be athletic and personable, just like his parents. Currently in Western Pleasure training with Rob McDougall. 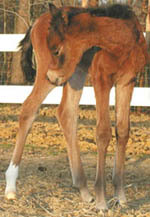 WB Unmistakable (MB Mistaz x Winsome Bint Bey ) 2/21/2003 Purebred Gray Colt. 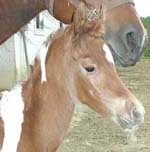 WB So Sereene (Safeen x THA Sonseress): 3/10/2003 Purebred Bay Filly. Retained. 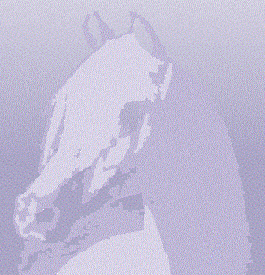 WB Libertarian (Magic Elixir x WB Willow Bay): 4/8/2003 Purebred Bay Filly. Retained.